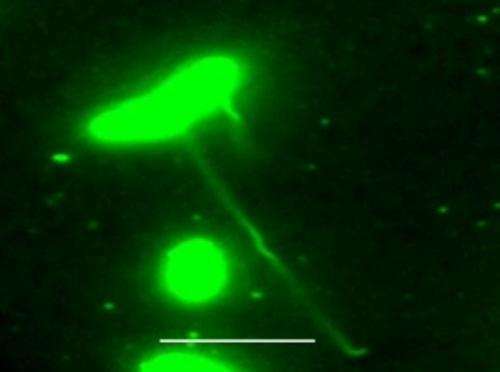 For the past 10 years, scientists have been fascinated by a type of "electric bacteria" that shoots out long tendrils like electric wires, using them to power themselves and transfer electricity to a variety of solid surfaces. Today, a team led by scientists at USC has turned the study of these bacterial nanowires on its head, discovering that the key features in question are not pili, as previously believed, but rather are extensions of the bacteria's outer membrane equipped with proteins that transfer electrons, called "cytochromes." Scientists had long suspected that bacterial nanowires were pili – Latin for "hair" – which are hair-like features common on other bacteria, allowing them to adhere to surfaces and even connect to one another. Given the similarity of shape, it was easy to believe that nanowires were pili. But Moh El-Naggar, assistant professor at the USC Dornsife College of Letters, Arts and Sciences, says he was always careful to avoid saying that he knew for sure that's what they were. "The pili idea was the strongest hypothesis, but we were always cautious because the exact composition and structure were very elusive. Then we solved the experimental challenges and the hard data took us in a completely different direction. I have never been happier about being wrong. In many ways, it turned out to be an even cleverer way for bacteria to power themselves," said El-Naggar, corresponding author of the study, who was named a Popular Science Brilliant 10 researcher in 2012 for his pioneering work with bacterial nanowires. This latest study will be published online by the Proceedings of the National Academy of Sciences on August 18. Scientists from USC collaborated with colleagues from Penn State, the University of Wisconsin-Milwaukee, Pacific Northwest National Laboratory, and Rensselaer Polytechnic Institute on the research. Challenged by this evidence of what nanowires weren't, the team next needed to figure out what they actually were. El-Naggar credits Sahand Pirbadian, USC graduate student, with devising an ingenious yet simple strategy to make the discovery. By depriving the bacteria of oxygen, the researchers were able to force the bacteria to stretch out their nanowires on command, allowing the process to be observed in real time. And by staining the bacterial membrane, periplasm, cytoplasm, and specific proteins, researchers were able to take video of the nanowires reaching out – confirming that they were based on membrane, and not pili at all. The process isn't as simple as it sounds. Generating videos of the nanowires stretching out required new methods to simultaneously label multiple features, keep a camera focused on the wriggling bacteria, and combine the optical techniques with atomic force microscopy to gain higher resolution. "It took us about a year just to develop the experimental set-up and figure out the right conditions for the bacteria to produce nanowires," Pirbadian said. "We had to go back and re-examine some older experiments and rethink what we knew about the organism. Once we were able to induce nanowire growth, we started analyzing their composition and structure, which took another year of work. But it was well worth the effort because the outcome was very surprising – but in hindsight made a lot of sense." 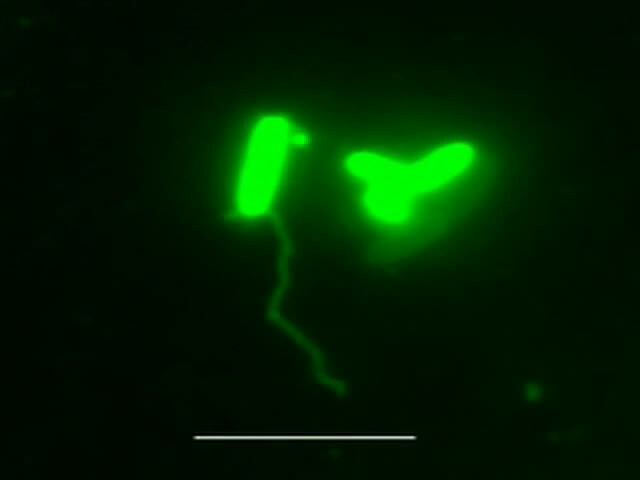 Understanding the way these electric bacteria work has applications well beyond the lab. Such creatures have the potential to address some of the big questions about the nature of life itself, including what types of lifeforms we might find in extreme environments, like space. In addition, this research has the potential to inform the creation of living, microbial circuits – forming the foundation of hybrid biological-synthetic electronic devices. This research was funded at USC by the U.S. Department of Energy and Air Force Office of Scientific Research and made possible by facilities at the USC Centers of Excellence in NanoBioPhysics and Electron Microsopy and Microanalysis.